This is paper I picked up today from the American Crafts holiday collection. I picked-up the Candy Canes and the Snowflake craft, I find they will make great card backgrounds. 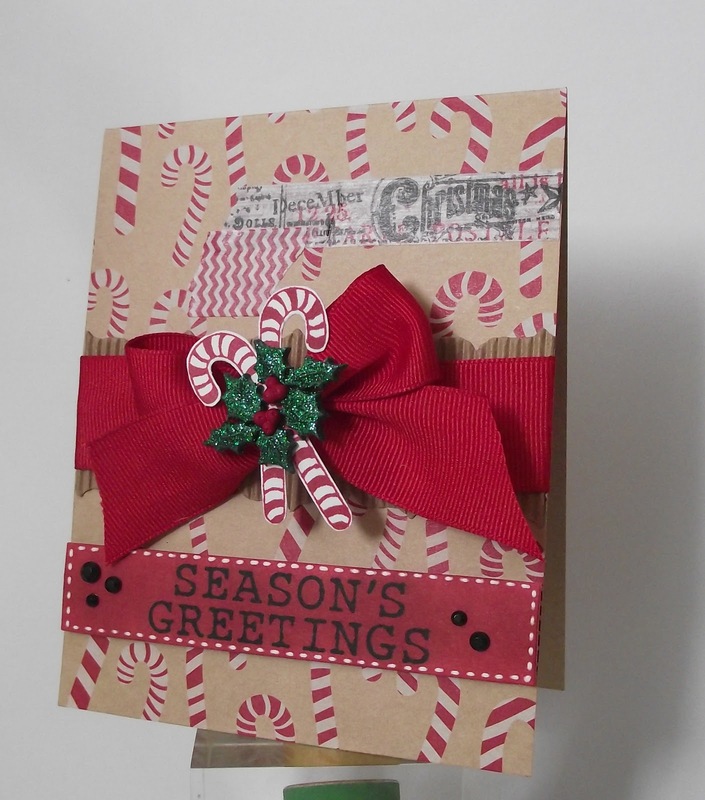 Stamps Hero Arts candy canes E5527 the sentiment is also Hero Arts, Ink - New Hero Arts mid-tone. This is also a first for me with tape, I picked-up the "My Mind's eye" holiday tape and used it here.